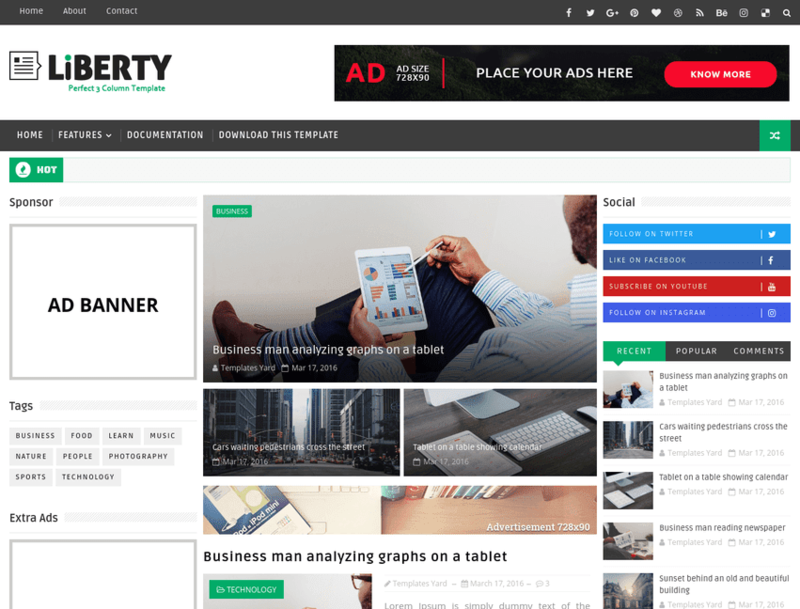 Liberty Responsive Blogger Template is a 3 column blogger template, specially for made for better ad placement. 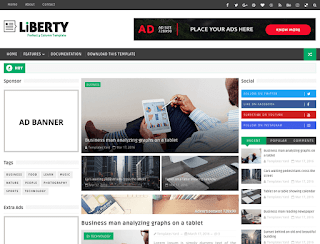 Liberty focus on Multi-Purpose Responsive Creative design Template that can use all kind of Business sites. Homepage designed for multi purpose, Authority blogs, Agency, Apps, Architect, Bakery, Boxed, Border design, Business, Charity, College, Construction, Corporate, Education, Hosting, Industry, Magazine, Medical, Personal, Portfolio, Restaurant, School, Shop, Travel, University, Wedding etc. The design can attach the people for improving your brand. Simplicity and Colorful web makes you a classy business to Intimate relation to your readers. You’re also digging up Responsive featured post and responsive design that can be world class enormous experience for your current visitors and readers.